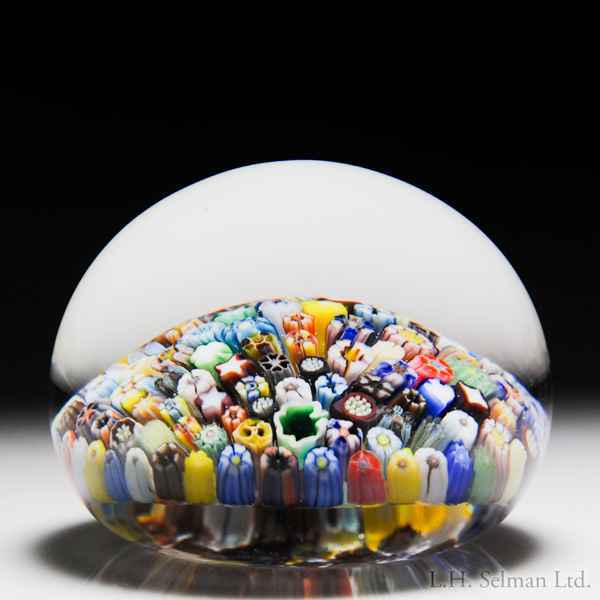 Parabelle Glass 1984 close packed millefiori paperweight. A colorful assortment of complex canes, including hearts, pansies, shamrocks and stars, rests on a clear ground. Signature/date cane. Diameter 3 1/16".